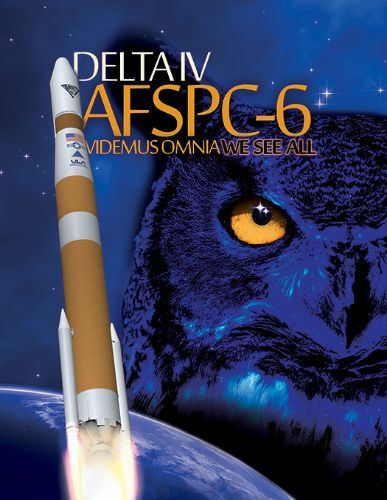 AFSPC 6 is a mission of the United States Air Force Space Command involving the third and fourth satellites in the Geosynchronous Space Situational Awareness Program (GSSAP) designed to operate small satellites in proximity to the Geostationary Belt to keep tabs on the activities of foreign spacecraft. 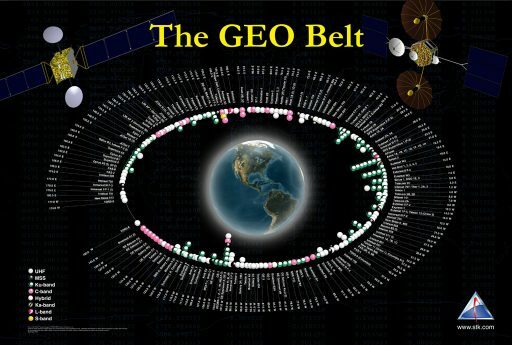 Situational awareness in Geostationary Orbit has been identified as a criticality by the U.S. Department of Defense to identify and monitor potential threats to U.S. space assets. 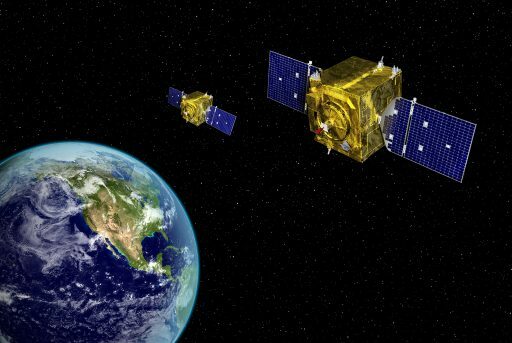 The first two GSSAP Satellites were launched on July 28, 2014 atop a Delta IV M+(4,2) rocket, entering an operational orbit near Geostationary Orbit, drifting above and below the Geostationary Belt. The mission was of a semi-classified nature and only bits of information regarding the satellites were released. The GSSAP satellites were developed by the Air Force and Orbital Sciences (now Orbital ATK) to achieve an operational space-based situational awareness capability operating in the near-geosynchronous orbit regime to deliver data to the U.S. Strategic Command. GSSAP operates in conjunction with ground-based telescopes and radars to keep track of space objects and identify potential threats to U.S. satellites. The project was developed covertly and the identity of the satellites was a secret until the program was declassified in early 2014, however, exact specifications and details on the program remain classified. The GSSAP satellites provide a Space Surveillance Network (SSN) sensor collecting space situational awareness data that is used for an accurate characterization of man-made orbiting objects. To accomplish this task, the satellites will be deployed in drift orbits below and above the Geostationary Orbit to be able to monitor Geostationary satellites such as communication and surveillance satellites used by foreign governments. 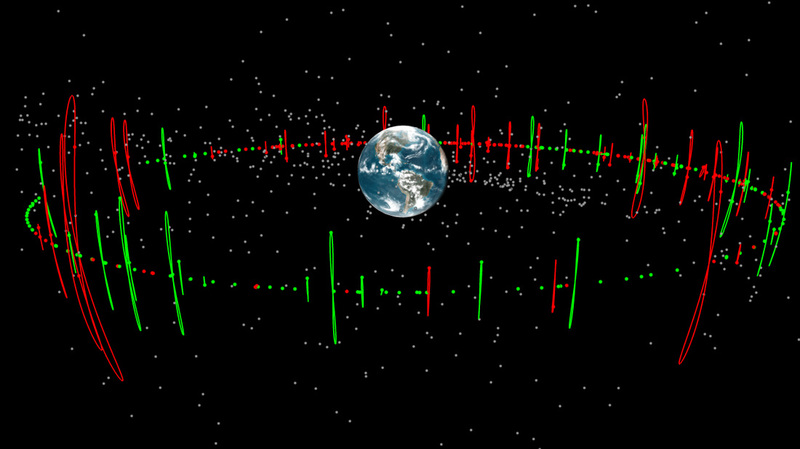 The satellites carry an electro-optical sensor to be able to characterize the satellites in Geostationary Orbit by tracking their activity, keeping tabs on satellites that are frequently maneuvered. 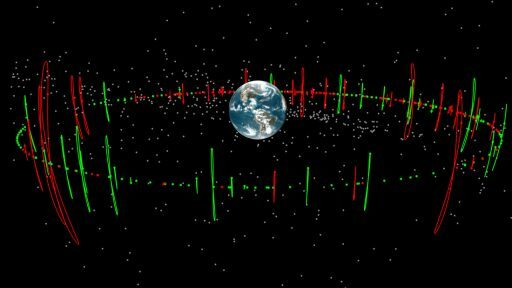 It is likely that the satellites are conceptualized to carry radio sensors to track radio emissions from satellites as an indicator of satellite identity and activity. GEO Satellite Tracks – Image: Analytical Graphics, Inc. 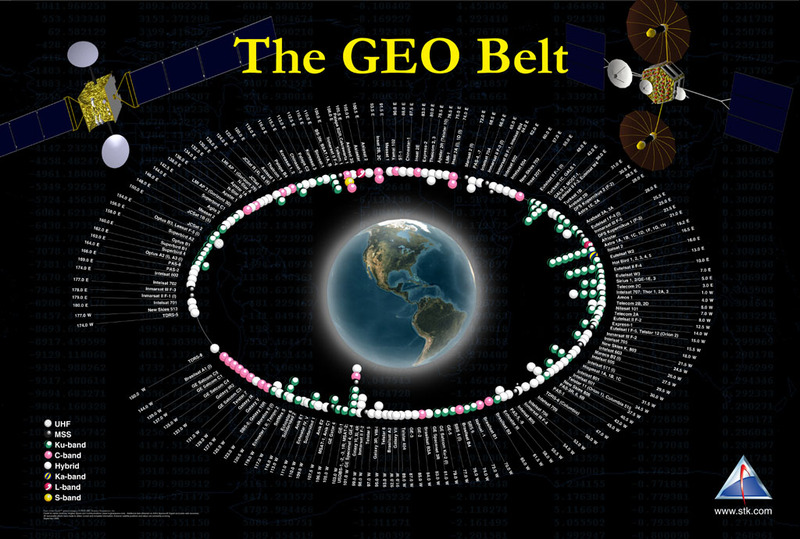 The satellites will deliver precise orbital tracking which will also be used for satellite collision avoidance as the Geostationary Belt gets more crowded over coming years. Using a space-based surveillance system eliminates issues that limit the capabilities of ground-based assets such as weather and atmospheric distortions. Exact details on the satellites and their payloads have not been provided. 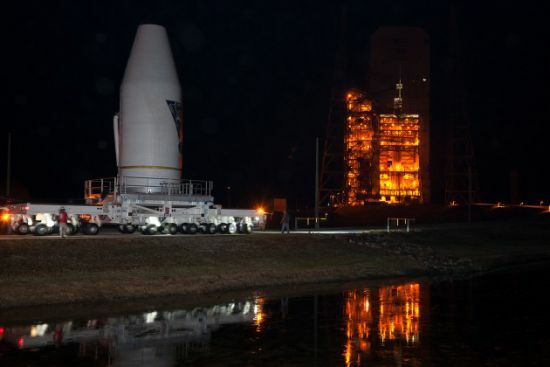 The prime contractor for GSSAP is Orbital ATK, a company known to build flexible satellites, offering platforms for Low Earth Orbit as well as Geostationary Satellites. Given the payload capability of the Delta IV M+(4,2) into a Geostationary Drift Orbit which is between 1,550 and 1,650kg and taking into account the mass of payload adapters and secondary payloads leaves between 1,300 to 1,400 Kilograms for the two GSSAP satellites. 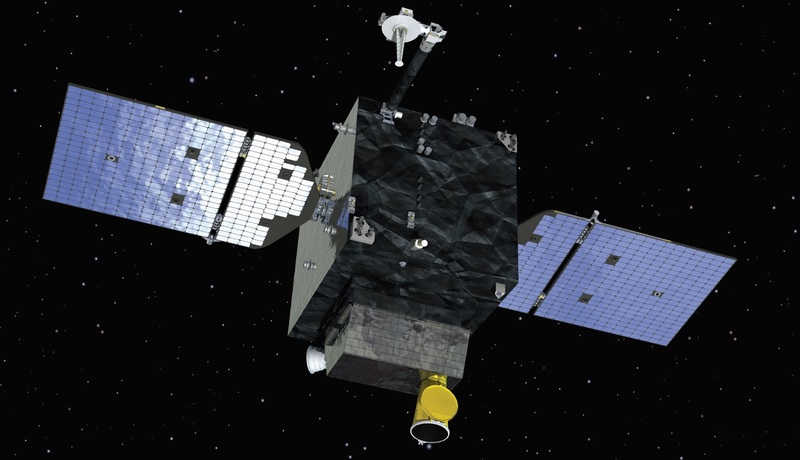 With a mass on the order of 650 to 700kg, each GSSAP satellite likely carries a significant amount of propellant to make frequent orbit adjustments and perform stationkeeping maneuvers when operational requirements call for the satellite to drift to or stay at a new location. Small impulse burns will set the satellite up to observe chosen targets by setting up favorable passes below or above the satellite of interest at a low relative speed. Based on the mass of the satellites, GSSAP most probably uses Orbital’s GEOStar-1 bus built as a compact, agile GEO satellites bus for five- to eight-year mission durations. The spacecraft has been designed for National Security Space Applications, hosting payloads of up to 150 Kilograms with a power demand up to 200 Watts. GEOStar-1 is suitable for a number of mission applications including Earth observation, intelligence, surveillance and reconnaissance (ISR), space situational awareness (SSA), position navigation and timing (PNT) and tactical communications. The platform supports single-string, selective and full redundancy to accommodate mission durations up to eight years. Power generation is accomplished using two deployable solar arrays that deliver 200 Watts of power available to the payload. Extended solar arrays and an increased bus size can raise payload power to 1.5kW. The main propulsion system of the GEOStar-1 satellites utilizes a bi-propellant main engine with a 310-second specific impulse. 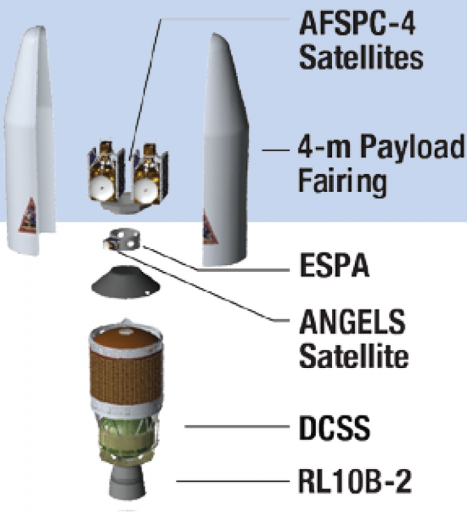 Depending on the payload mass, the satellites have a delta-v budget of up to 1,000 meters per second, allowing them to complete extensive maneuvers and orbital changes over the course of their mission. A monopropellant propulsion system is used for orbital fine-tuning and stationkeeping maneuvers. Attitude Determination is accomplished with Star Trackers and gyros while a GPS unit provides orbit determination and timing. The satellite supports a slew rate up to 1 degree per second using high-torque reaction wheels. Overall, GEOStar-1 achieves a pointing error better than 0.4 milli-radiant and a position accuracy of 50 meters. The satellite supports a downlink data rate of up to 100 Mbps using a high-speed X-Band terminal with an optional Ka-Band downlink system. Is can be expected that one GSSAP satellite operates in a drift orbit above GEO while the other orbits below Geostationary Altitude. 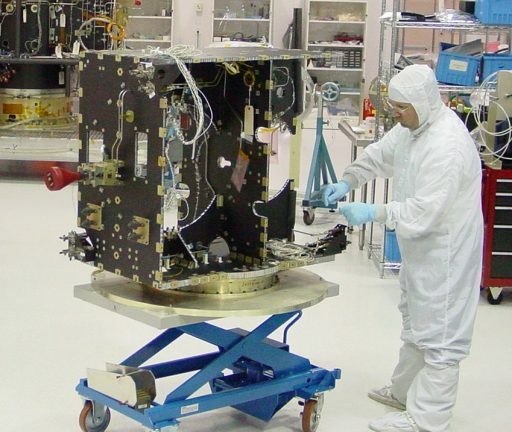 The electro-optical sensor aboard the satellites will provide valuable data to be able to track the optical signatures, movements and other activities of Geostationary satellites to learn about their identity and study their activities. Another potential payload hosted by the GSSAP satellites is a radio sensor to characterize radio emissions from satellites to be used as an indicator for a satellite’s identity and activity. This will allow the program to identify threats to space-based assets in Geostationary Orbit and protect the infrastructure that provides communications and surveillance. The GSSAP satellites use the Air Force Satellite Control Network (AFSCN) ground stations that relay downlinked data to Schriever Air Force Base where the satellites are operated from by the 1st Space Operations Squadron (1 SOPS), 50th Space Wing.